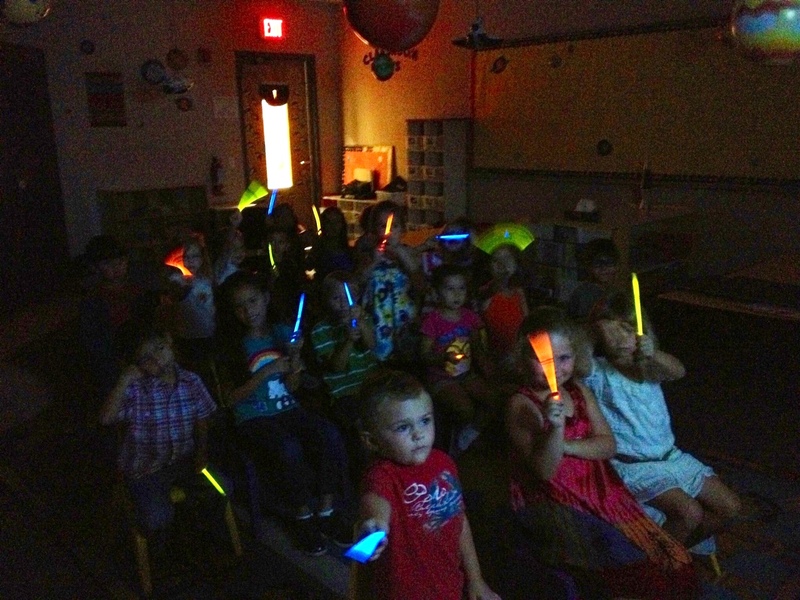 Lots of fun in Sunday School with our glow sticks this week as we learned that God made light! Ta Da! 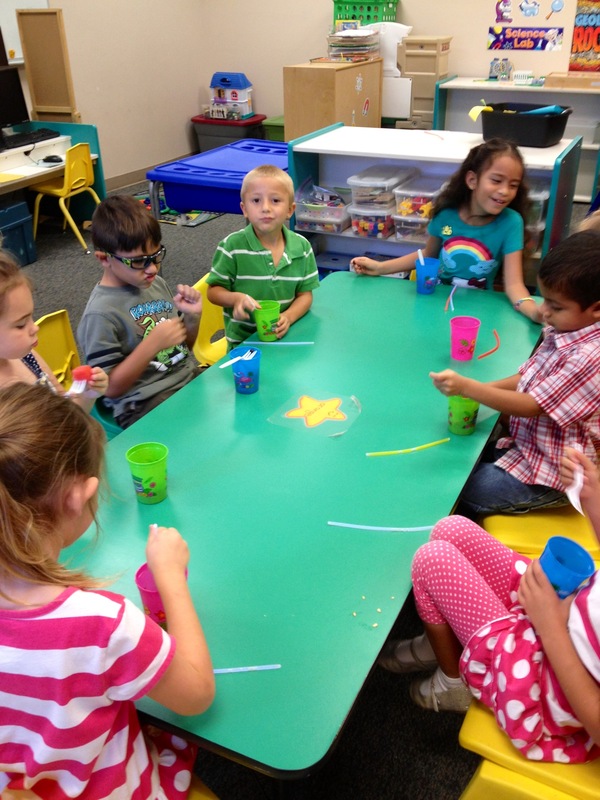 Special thanks to Carrie Kahr for donating and preparing healthy snacks for class each week. Strawberries, blueberries, and grapes, yum!